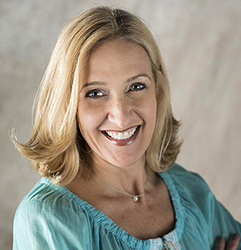 Jen Shirkani is a nationally recognized expert on emotional intelligence and a featured speaker at national and state conferences, universities, government agencies, and at business organizations around the world. She is the author of award nominated Ego vs EQ, a leader's guide to leveraging the power of emotional intelligence and Choose Resilience, which was published in 2017. She has spent over 25-years working with organizations from the Fortune 50 ($40B) to family-owned entities as a business consultant and executive coach. She holds a Master's Degree in Organizational Leadership and has devoted herself to improving leadership effectiveness and on making common sense more common. Lynne Jensen-Nelson is back by popular demand. She is known for developing and growing successful sales team with interior design firms, builders, and product showrooms across the country. Lynne parlayed her educational background and Master’s Degree in Communication into a successful sales leadership career. 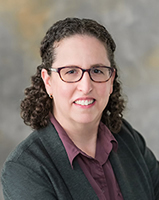 Laura L. Kruper, M.D., M.S., director of the Women's Center at City of Hope, led a major study which discovered that seven out of 10 women who get mastectomies to treat breast cancer do not undergo reconstructive surgery. She wants to change that, especially after hearing from her minority and lower-income patients who were denied the option at other hospitals. “One of my goals is to make things a little more equal for everybody,” she said. 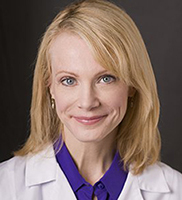 A graduate of University of Pennsylvania School of Medicine, Dr. Kruper has over 15 years' experience as a cancer surgeon. At City of Hope since 2008, she strives to optimize the treatment of breast cancer through clinical trials, getting the best available therapies to patients as quickly as possible. A frequently sought-after medical expert for television news and talk shows, Dr. Kruper is passionate about improving breast cancer awareness and education. Tallia Deljou, president and co-founder of Mavenly + Co., helps women go from where they are in their careers to where they truly want to be. She's coached women from all around the world, from startup founders to senior level executives, helping them know their worth and take their careers to the next level using a strength-based approach that emphasizes the importance of mindset. Her unique ability to uncover people's strengths and help them move beyond their fears truly sets her apart, and nothing gives her more joy than seeing her clients go after what they truly want. 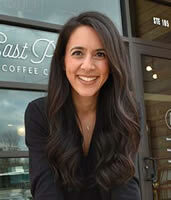 Tallia has her Master's degree in Positive Organizational Psychology. If she's not cheering on her clients' successes, you can find her busting a move in her weekly hip hop class or finding a quiet space to meditate. She and partner Kate host the podcast "Women, Work + Worth". Dr. Kathryn Bingham partners with highly talented, highly motivated executives, entrepreneurs and professionals facing or seeking change to elevate leadership, increase impact, and achieve desired results in organizations, start ups, projects, and careers. Through her coaching, courses, and workshops, leaders identify critical paths, align focus, address barriers, and execute with passion and purpose in life and work. Kathryn’s expertise spans multiple functions across the domains of government, business, higher education and nonprofit sectors. She led strategy development, organizational change and business turn-around efforts, and provided recognized thought leadership in the areas of leadership development and talent management. Kathryn completed her Executive MBA at Pepperdine University and her PhD in Leadership at the University of San Diego. She brings multiple coaching methods to support her clients, including Leadership, Appreciative Inquiry, and Stakeholder Centered Coaching. Her ongoing research focuses on transformative experiences in the leadership development journey of business professionals. Leslie Carothers, the founder and CEO of The Kaleidoscope Partnership, pioneered the use of social media marketing within the furniture and interior design industries. Her 38 years within the furniture and interior design industry combined with her professional work over the past 10 years with over 50 major and emerging brands, including manufacturers, retailers, software providers, tradeshows, publishers and interior designers, has given her deep insight and experience on how to help businesses achieve their goals – faster – online. In 2017, Leslie co-founded her second business, Savour Partnership, with HGTV content producer Sam Henderson, to help brands and interior designers create passive income and build sellable media assets through beautifully designed online publications. Leslie’s own micro-blog, @tkpleslie, with over 36,000 followers, was named by the London based tradeshow, Decorex, as one of the Top 100 Most Influential Interior Design Twitter accounts. In her spare time, she enjoys her family, nature photography, volunteers for the Bienenstock Furniture Library and is on the planning committee for the new Houston chapter of Dwell with Dignity. 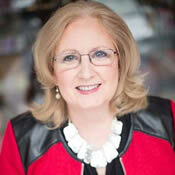 Lori Dolnick is a 30+-year public relations and marketing professional. She has proven strategic management experience on global brands such as BLANCO, Poggenpohl, Tile of Spain and Therapedic International. She joined the noted home design agency Frank Advertising in 1995 and is currently Senior Vice President. Prior to Frank Advertising, Ms. Dolnick was a senior account manager for one of the world's best-known brands at the Leo Burnett Company - McDonald's. She has won numerous awards for her copy writing plus strategic execution of public relations and social media: 2x Winner of Golden Thinker, APEX, Telly, MarCom Creative and Event Technology. Ms. Dolnick also served as an adjunct marketing professor at Rider University and is currently the Director of the Marketing Advisory Board. 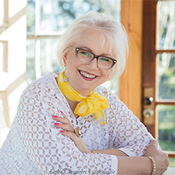 Rene Johnston-Gingrich is Vice President of Training Development for the Profitability Consulting Group, specializing in delivering the programs Design Trac: Design Skills for Retail Sales People and Sales Trac III: In Home Selling. Rene has owned and operated an interior design firm for 17 years and now works with organizations to ensure they have the best possible team environment. Rene served as a regular columnist for The Lewiston Tribune Business Profile and is an adjunct faculty member of Lewis-Clark State College’s Business Division. Rene has a Bachelor of Fine Arts Degree in Interior Planning and Design and a Master’s Degree in Adult Education and Human Resource Development. 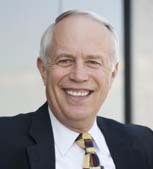 Bill Cary, partner with Brooks, Pierce, McLendon, Humphrey & Leonard, LLP has over 40 years of experience counseling employers through difficult employment decisions while complying with the plethora of employment related laws. He has extensive experience in employment contracting issues, including non-competition and non-solicitation drafting and litigation, and employment practices audits. Bill provides employment law counsel to avoid conflict and to guide employers through difficult transitions, whether systemic or specific. He also has extensive experience in litigation and mediation, and is a certified mediator. Bill has also been conducting training for compliance and effective employment management strategies for 30+ years. Bill joined Brooks Pierce in 1976 after graduating from UVa with both his JD and MBA degrees, and has practiced there continuously since (except for a 10 month leave to serve as general counsel to the North Carolina Department of Environment and Natural Resources in 2012). He is the proud father of two grown daughters, and found most helpful: “Smart Girls, Gifted Women,” by Barbara Kerr, and “A Whole New Mind: Why Right-Brainers Will Rule the Future,” by Daniel Pink. His other interests include history, cooking, amateur birding, and anything on the coast. He is currently volunteering with the NC Coastal Federation in preparing for the NC legislature a requested state strategy for revitalizing the oyster industry. Natalie K. Sanders is the founder of Professional Business Cultures, LLC. She has been solving workplace issues since she began practicing law in 1995. For the first part of her career that meant defending employers in harassment and discrimination litigation and administrative proceedings before the EEOC. It included prevention as well through policy development and training for major regional employers such as Replacements Ltd. and Moses Cone. Natalie also regularly presented legal updates for trade associations like the North Carolina Bankers Association. Combining her experiences from practicing employment law and managing a business, Natalie founded Professional Business Cultures, LLC to provide a positive and proactive response to the #MeToo Movement. Her goal is to raise the level of professionalism in workplaces as a way to more effectively prevent harassment and other workplace misconduct. She is now a speaker, trainer, and consultant for leaders who are ready to go beyond legal compliance and foster more professional workplace environments. When not focused on work, Natalie is a fan of Duke basketball, having graduated from Duke Law School where she served on the Duke Law Review. She enjoys sunrises and sunsets under the expansive midwestern skies when she returns home to Iowa where she graduated from Buena Vista University. Julie Kaminski MA, NBC-HWC, holds a Master’s Art with distinction in Counseling Psychology specializing in group work, a Bachelors in Business with an emphasis is Health and Wellness, and is a National Board Certified Health & Wellness Coach. She has thirty years’ experience working in private practice, major corporations, clubs, and health centers. Julie’s areas of expertise include: group counseling, dynamic group instruction, creative solutions and project management. Extensive experience in designing custom programs for individuals and groups. Knowledgeable in all areas of wellness, including fitness, health, nutrition, eating behaviors, stress management and spiritual fulfillment. Coaching skills include the application of motivational interviewing, goal setting theory, and appreciative inquiry. 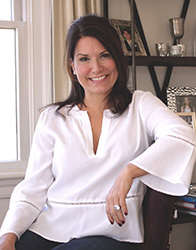 She completed University of Pennsylvania’s Foundations of Positive Psychology and is the author of The Flourishing Home. 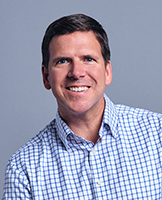 Kent Panther is VP, Director of Business Development with Wray Ward, a creative marketing communications firm that specializes in the home and building sectors and supporting brands that elevate the style, comfort and function of the American home. His client experience includes work with Duke Energy, Hunter Douglas Window Designs, Lowe’s Home Improvement, Mohawk Flooring, Rheem Gas Furnaces, Springmaid Home Fashions, Sunbrella and VELUX Skylights. Before joining the agency, Kent worked on brands including Michelin, Mr. Coffee, McDonald’s Restaurants and Coca-Cola. A graduate of Miami University in Ohio, he earned a Bachelor of Science in business with a major in marketing. He is originally from Louisville, Kentucky. 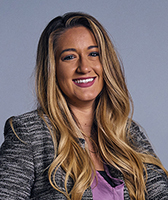 As a PR/content manager for creative marketing communications agency Wray Ward, Christy Marion helps brands connect with their target audiences through a mix of public relations and content tactics, including social media, influencer marketing and traditional public relations. Using strategic planning, relevant content and smart partnerships, Christy keeps her clients’ brands relevant and engaging to audiences from B2B to B2C.